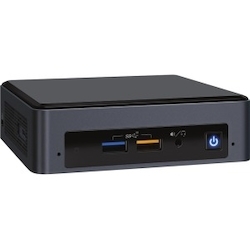 Get spectacular responsiveness that goes virtually anywhere with an Intel NUC Mini PC Kit. Enjoy great visual immersion with Intel Iris Plus graphics 655 and support for triple displays all in 4K Ultra HD. Accomplish more at work and enjoy more at play with a bonus software bundle.